Discover the origins of some of today’s most popular drug therapies. Explore case histories and gain insight into major classes of antibiotics, antiviral drugs, analgesics, steroids, compounds designed to lower cholesterol, and more. Review the steps required for FDA approval. This is a great reference for students in medicinal chemistry, researchers in pharmaceuticals, and medical practitioners. 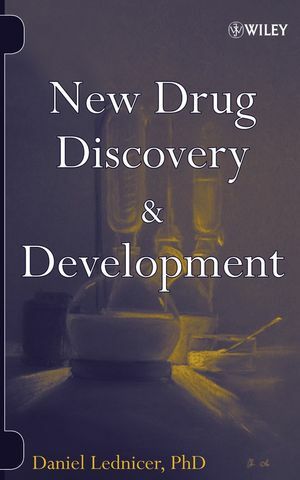 DANIEL LEDNICER, PhD, is the acclaimed author of several books on drug synthesis and discovery. His career in both the private and public sectors has been devoted to the search for new therapeutic agents. Dr. Lednicer spent two decades at the bench as a chemist at the Upjohn Company. Following that, he served as director of chemical research at Mead Johnson, director of pharmaceutical sciences at Adria Laboratories, and pharmaceutical manager at Analytical Biochemistry Laboratories. Most recently, he was a project officer at the National Cancer Institute. 9. From Lab Bench to Pharmacy Shelf.